What makes you remember a meal long after you’ve taken the last bite? It could be the taste, texture, smell, or look of the plate. Maybe it was the location or the company you shared it with. 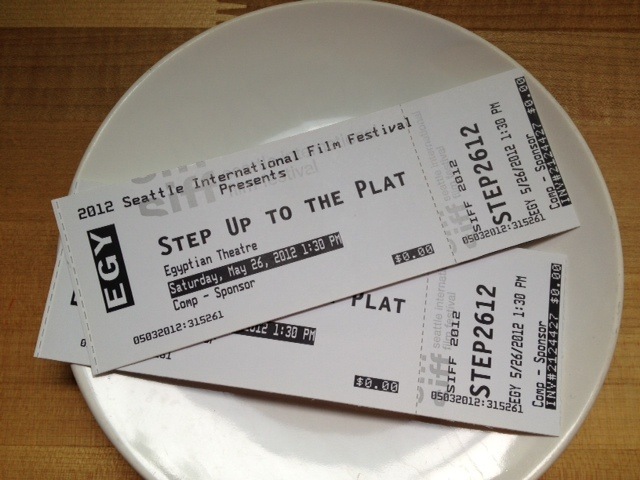 As a proud sponsor of the Seattle International Film Festival, we are giving away free tickets to our featured film Step Up to the Plate. Enter our Most Memorable Meal Contest by sharing the story of your most memorable meal in our comments section below. We will hold a random drawing to give out two free sets of tickets to the showing of Step Up to the Plate at the Egyptian Theatre on Saturday, May 26 at 1:30pm. Post your comment below by 11:59pm on Wednesday, May 23 to be considered for the prize. This French-language documentry is about a restaurateur, Michel Bras, as he prepares to hand his restaurant over to his son Sébastien. They work together making dishes filled with unusual ingredients, such as milk curd, butternut spaghetti, blackberry jelly, and nasturtium, where taste and presentation carry equal weight. But will Michel end up leaving the restaurant for his son to run, or will he be unable to step away? Share your most memorable meal ever for a chance to win! The fine print: Entries must be submitted as a comment to this blog post no later than 11:59pm on 5/23/12. Two winners will be chosen at random at 9:30am on 5/24/12 and notified by email. To accept the prize, winners must respond to the notification email by 3:00pm on 5/24/12 with full name and mailing address. No purchase necessary. No cash value.